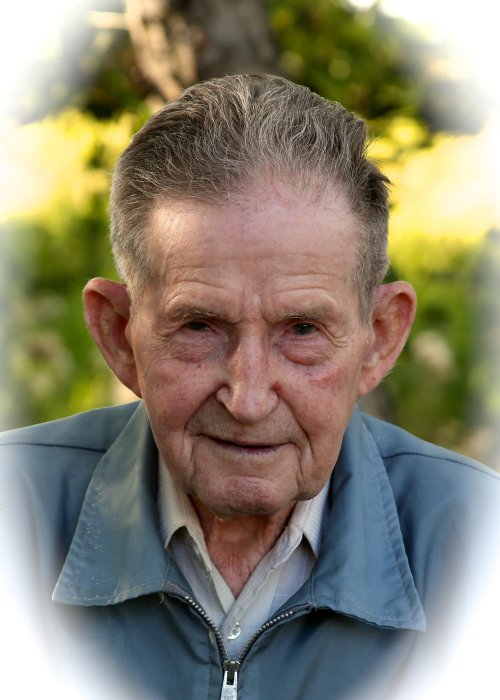 Mr. Theodorus “Ted” Campmans of Picture Butte passed away at Chinook Regional Hospital on Saturday, March 23, 2019 at the age of 90 years. Ted was born in Raalte, Holland. He grew up on the family farm with his five brothers and three sisters. Ted is survived by his brother Gerrit in Holland, brother Tony in Picture Butte, many family members in Holland and his nieces and nephews in Alberta. Ted served in the Dutch army and was deployed to the war in Indonesia. He along with two of his brothers helped to build the dykes in the Noordoostpolder in Holland. In 1956 he decided to immigrate to Canada, where he worked in the dairy and farming industry in Southern Alberta as well as in construction in Calgary. In 1959, his brother Tony came to join him in Canada where they both worked together to eventually purchase a farm and start a dairy. They started with one cow, a stool and a hand separator. Together they built a successful dairy. Eventually Ted bought the farm across the road from the dairy and he tended to the land, raised pigs and beef cattle and eventually was content to farm the land. Ted sold the farm to his brother Tony in the early 1990’s and moved to Lethbridge, where he turned his entire backyard into a garden and spent many years growing fresh produce for the food bank there. His backyard garden was able to donate up to 1 ton of produce in a year. Ted always had patience for his nieces and nephews who were often underfoot and loved to ride in the tractor with him. Known to us as “Teddo” he always had a joke for us, and all the kids had their turn to sit on his knee as we were growing up. Ted always was there for suppers and special occasions, greeting us with his signature handshake. We often went to Ted’s to see what he was fixing, doing or inventing. Ted was the ultimate example of getting hard work done! Ted had a passion for charity. Living through the war and seeing the poor in Indonesia spurred him to live a humble, simple life and he was able to donate to a variety of charities over many years. A Prayer Service will be held at 7:00PM on Thursday, March 28, 2019, at the ST. CATHERINES ROMAN CATHOLIC CHURCH, 762 Crescent Ave, Picture Butte, AB T0K 1V0. A Funeral Mass will be celebrated at 2:00PM, on Friday, March 29, 2019, at the ST. CATHERINES ROMAN CATHOLIC CHURCH, 762 Crescent Ave, Picture Butte, AB T0K 1V0. Ted will be laid to rest in a private family Graveside Service. Flowers are gratefully declined. For those who wish, memorial donations may be made to the Lethbridge Food Bank Society, 1016 2 Avenue South, Lethbridge, AB T1J 0C9, or the Lethbridge Soup Kitchen, 802 2 Avenue North, Lethbridge, AB T1H 0C9. Thank you to the staff at the Pyami Lodge, Picture Butte, and the Chinook Regional Hospital for the care that Ted received. 802 2 Avenue North, Lethbridge AB T1H 0C9.